In the beginning of the “Rex Ryan era” in New York the Jets were always in the mix for a playoff spot and a possible Super Bowl run, but now a lot has changed. 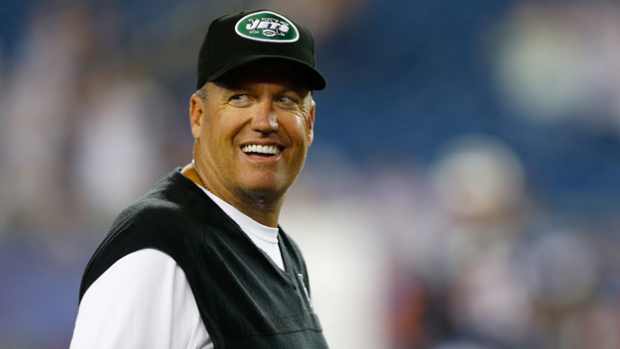 The 4-12 Jets fired their head coach and general manager Rex Ryan and John Idzik. Woody Johnson simply said, “We’re in the winning business, and were not winning.” John Idzik was the main person everyone wanted gone. He failed to inherit enough free agents in the offseason for the defense when he had 20 million dollars in cap space. Yes thats right, 20 MILLION! Still though, after a surprising 8-8 season in 2013, the hopes were high for the Jets. But, a tough schedule eventually led to their downfall. Now here come the questions of much uncertainty. After starting quarterback Geno Smith led them to a very disappointing season the Jets don’t know who their QB may be. Michael Vick? Geno Smith? Maybe the two studs from Florida State and Oregon. Jameis Winston or Marcus Mariota will certainly be taken by NY with the 6th pick in the draft (if they are still available). The likelihood of this is slim, and so if they really want to draft either quarterback, they will have to trade up picks. The Jets must pick up some players to fill their secondary, which was horrible this season. And lastly a head coach and general manager. In my opinion, firing Rex Ryan was a fatal mistake. Rex was well respected and loved by everyone in the Jets locker room. It’s not his fault due to the roster given to him this year being extremely weak and not good enough to win. With a good defensive core he got them to the AFC Championship game, TWICE. If you give him a team, he’ll perform. With Rex gone, its going to be hard for some of the veterans on this team to get used to a new leader for them. One thing is for certain: the Rex Ryan era is officially over in New York.